IWGB is calling 24 hour strike of Uber drivers in London, Birmingham and Nottingham from 1pm on 9 October Demonstrations to be scheduled at 1pm on 9 October at Uber's offices in each of the cities. Drivers demand an increase in fares, an end to unfair deactivations and that Uber respect rulings on worker rights. 8 October: The United Private Hire Drivers (UPHD) branch of the Independent Workers Union of Great Britain (IWGB) has today called a 24 hour strike of Uber drivers in London, Birmingham and Nottingham from 1pm on Tuesday 9 October. Drivers will be staging protests outside Uber's offices in each of these cities at the start of the strike. Details on location can be found below. The IWGB is appealing for public support for striking drivers and asking customers to not cross the digital picket line by using the app during the strike. Supporters are invited to join protests outside Uber's offices in London, Birmingham and Nottingham. 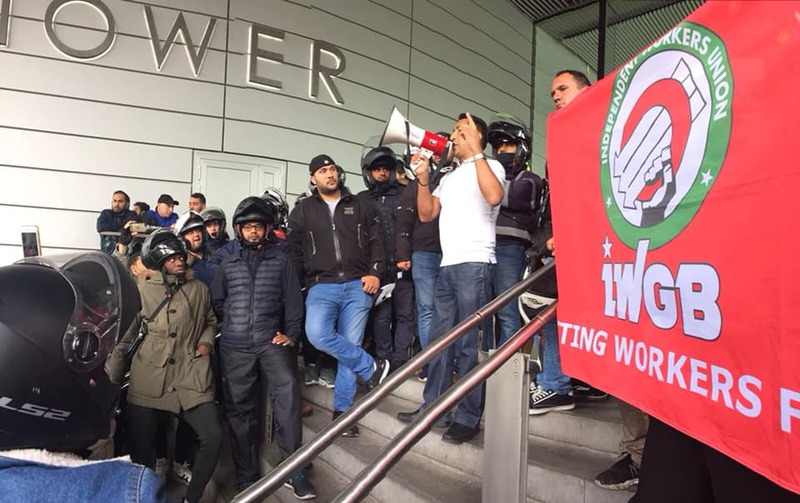 The strike will combine the IWGB's efforts to secure private hire drivers rights as limb (b) workers through the courts, with ongoing cases against Uber, Green Tomato Cars and A2B Cars, as well as building on previous protests against London transport regulator Transport for London. The IWGB and co-claimants Yaseen Aslam and James Farrar will be facing Uber at the Court of Appeal on 30 and 31 October on the landmark employment rights case. Farrar and Aslam are being represented by solicitors Bates Wells Braithwaite and barristers Jason Galbraith-Marten QC and Sheryn Omeri from Cloisters.